Raye's life as a singer and comedic performer began in very early childhood. 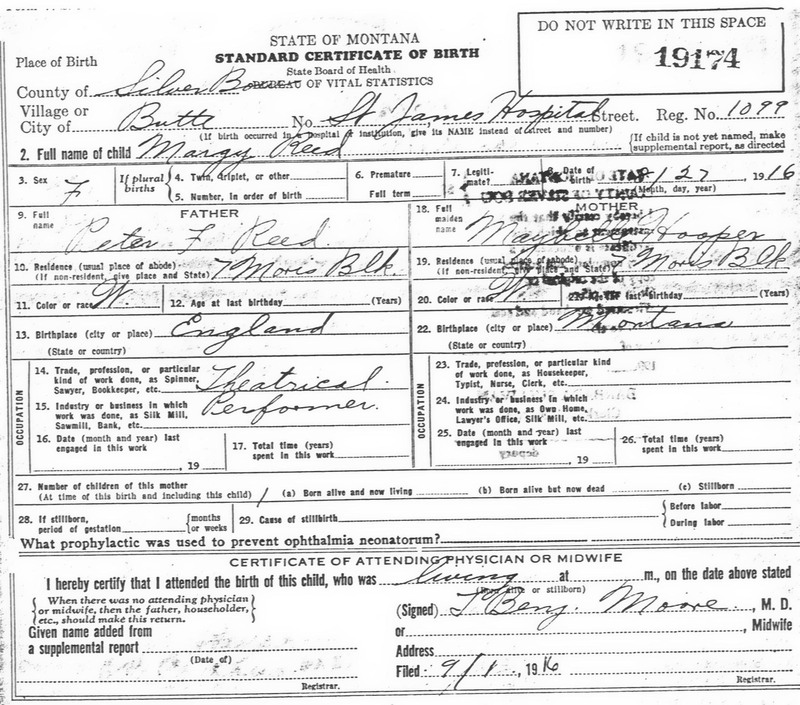 She was born at St. James Hospital in Butte, Montana, as Margy Reed; some sources give her real name as Maggie O'Reed. She often appeared as a guest on other programs, particularly those which often featured older performers as guest stars, such as ABC's The Love Boat, and also on variety programs, including the short-lived The Roy Rogers and Dale Evans Show. She appeared from the third to the ninth seasons as Carrie Sharples on Alice, making two or three appearances a season. She made guest appearances or did cameo roles in such series as Murder, She Wrote on CBS and The Andy Williams Show and McMillan & Wife, both on NBC. She appeared again as Agatha for the six-episode run of the retooled McMillan, taking over for Nancy Walker, who had left the series. Her last film appearance was as an incontinent airline passenger in the disaster film The Concorde ... Airport '79 (1979). Her final years were plagued by ill health. She suffered from Alzheimer's disease and had lost both legs in 1993 from poor circulation. While in poor health and resting in the hospital bed that had to be placed in her home, Martha and husband Mark Harris (who, because of their controversial May/December relationship, became frequent guests on the popular Howard Stern radio program) moved into a hotel after their home was completely destroyed by the 1994 earthquake. In appreciation of her work with the USO during World War II and subsequent wars, special consideration was given to bury her in Arlington National Cemetery on her death. However, based upon her request, she was buried with full military honors in the Fort Bragg, North Carolina, post cemetery as an honorary colonel in the U.S. Marines and an honorary lieutenant colonel in the U.S. Army. She is the only civilian buried at this location who receives military honors each Veterans Day.